Looking younger. Feeling more beautiful. Having the look you've always desired. With the experience and artistic precision of San Francisco plastic surgeon Dr. Michael G. Cedars, these dreams can become reality. Whether your desired change is dramatic or subtle, he understands that cosmetic enhancement is a very emotional experience. That's why he responds to your feelings with honesty and compassion, and works to make your experience positive in every way. And you'll feel comfortable knowing Dr. Cedars is certified by the American Board of Plastic Surgery, the most respected board in his field. 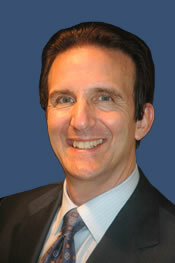 Board Certified Plastic Surgeon in San Francisco:: American Board of Plastic Surgery. MD: University of California, San Francisco. Bachelor of Science: Biology, Massachusetts Institute of Technology; Electrical Engineering, Massachusetts Institute of Technology. Internship: General Surgery, University of California, Los Angeles. Resident Training: Plastic Surgery, University of California, Los Angeles; General Surgery, Cedars-Sinai Medical Center; General Surgery, University of California, Los Angeles. Fellowship: Craniofacial and Microvascular Surgery, University of California, Los Angeles. Member: American Society of Plastic Surgeons,California Society of Plastic Surgeons, American Association of Pediatric Plastic Surgeons, American Cleft Palate/Craniofacial Association, American Society of Maxillofacial Surgeons, Alameda-Contra Costa County Medical Association, American Medical Association, California Medical Association. Former President: California Society of Plastic Surgeons. Chief of Plastic Surgery: Alta Bates-Summit Medical Center, Berkeley; Children's Hospital San Francisco. Best Doctors Lists: Best Doctors in America, Bay Area Consumer Checkbook, J (Jewish Bulletin of Northern California), San Francisco Magazine and San Francisco Magazine. In practice for 20 years.